Enter the new Vileda Giveaway to get an opportunity to Win Vileda products of your choice. To enter you need to visit the official Vileda Canada Facebook page, look for the post promoting this contest (you can click here to go directly) and use the comments section to write your answer to the following question “Comment your top wellness tip that you do in your home”. Contest ends on February 1, 2019 at 4:00 pm. Winners will be selected by random draw from all eligible entries. There are 7prizes available to be won, each consists of a Vileda product of their choice from the list on the contest post. 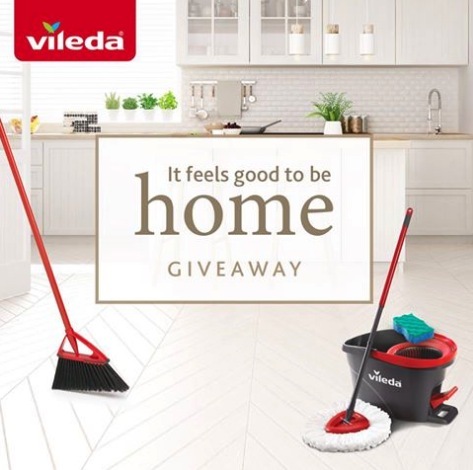 The Vileda Giveaway begins on 24 January 2019 and ends on February 1, 2019. There will be daily draws to select the winners.